We firmly believe that the community of Levenshulme knows what we need to do to improve our high street and that is why we are asking residents of Levenshulme to decide who we fund in our first awards scheme. The projects that will be funded will be decided at a voting event open to all residents of Levenshulme. The event will take place between 5.00pm and 9.00pm on Sunday 8th March 2015 at the Klondyke Club on Burnage Range in Levenshulme. We would like to take this opportunity to thank our panel of independent assessors who represent The Kindling Trust, UnLtd, Heaton Moor Market and the North Manchester Regeneration team of MCC. 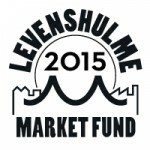 How it will benefit the high street or the community in Levenshulme. Attendees to the voting event will also be given a printed copy of the full applications from the short listed candidates and time to review the detail in these to aid with their decision making process. We expect the presentations to be complete by 6.15pm and voting will open immediately afterwards. From that point there will be one hour for attending voters to review the written applications, ask questions of the applicants (who will be wearing name badges!) and enjoy some lovely food. Voting slips can be submitted at any time during that hour and we will give a “five minute warning” when voting is about to close and collect any remaining slips. When the voting closes the counting will begin! We are hoping that this will take no longer than three quarters of an hour and we would encourage you to use this time to grab a drink from the bar (the Klondyke have been very generous in letting us host this event for free) and get to know your fellow Levyites/Leveites/Levistas/Levonites! Once the voting has been counted and the final scores confirmed by an independent adjudicator we will announce the winners! We are hoping it will all wrap up before 9.00pm so we can all enjoy a last chance to socialise before the venue closes. If you have registered for a place/s, please arrive promptly at 5.00pm for the start of the event – we will have a lot to get through before 9.00pm when we will finish. The voting will open at approximately 6.15pm and you may leave once you have submitted your vote, but you must attend the presentations in order to vote. When you arrive we will ask you to sign in with your postcode or to declare that you do not live in Levenshulme and will not be voting. This information will not be shared but it is a quick and easy way for us to know that people who are voting are eligible. It does, however, rely heavily on attendees’ honesty and we would ask that everyone ensure that this rule is abided by. Residents of Levenshulme. We do not have the facility to check your postcode on the evening so would ask that you be fair to the applicants by abiding by this rule and letting the organisers know if you suspect that someone is not doing so. Children are welcome to attend but must be 16 or over to vote. If you have any accessibility issues then please get in touch so we can ensure you have the best opportunity to assess the applications. On the night of the awards there will be 10 presentations from hopeful applicants, asking for varying amounts from £760 to £5000. Once all applicants have completed their presentations the audience will be asked to rank their top 5 projects from 1-5 (1 being their favourite, 5 being their fifth favourite). The votes will be collected and each ranking assigned a score (i.e. 10 points for a 1, 8 points for a 2 etc) and the scores tallied up to produce an overall ranking of all projects. The votes will be anonymous and counting will be overseen by an independent adjudicator (who will not be able to vote). 5th place – Project B – £2000 – PARTIALLY FUNDED (we would work with group B to see which elements of their project they could fund with £1000 and if they could not then this funding would revert to the next group and we would do the same with them). We will aim to announce the winners on the night of the funding event and will publish the information on this website shortly afterwards. If for any reason we are unable to announce the winners on the night the information will be published on this website and via our social channels as soon as possible after the event. In the event of any disputes we will defer to our independent panel for a decision on the fairest way to proceed but decisions of the Directors of Levenshulme Market CIC are final and binding. Lots of information about the voting and the application criteria can be found in our FAQs.